Christmas is coming early, Mac users. If you’ve been waiting to “deck the halls” of your computer with the software that will stretch its potential, pick up the Award-Winning Black Friday Mac Bundle Ft. Acorn 6. Like the name says, it’s a full arsenal of the most top-rated apps for Mac, packaged together for a fraction of the price for the individual software. For the security-minded, there’s the password-management app mSecure Pro and the essential Netshade VPN. Spotless and Gemini 2 will organize your files and keep them that way, and Crossover 18 will even let you run Windows software cleanly and easily on your Mac. And there’s a ton for designers: Clip Studio Paint Debut, Next Flipbook Maker Pro and of course, the intuitive and versatile photo editor Acorn 6. 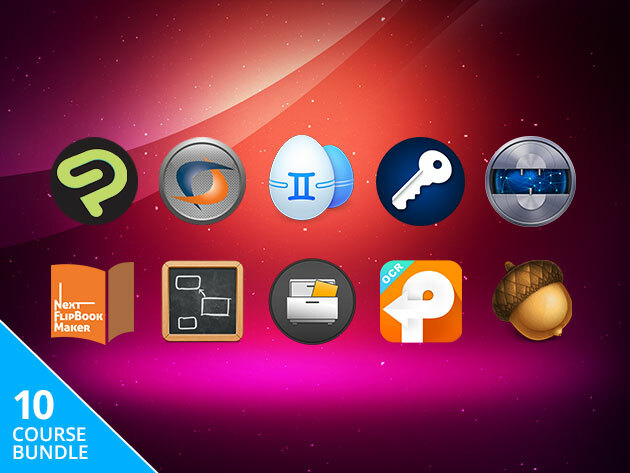 We’re talking ten apps in all in the Award-Winning Black Friday Mac Bundle Ft. Acorn 6, holiday priced at $25. And right now, you can knock an additional $5 off with the coupon code BFMAC5.